Kay Smith-Blum approached Train of Thought to design and develop a website supporting her bid for the Seattle School Board. 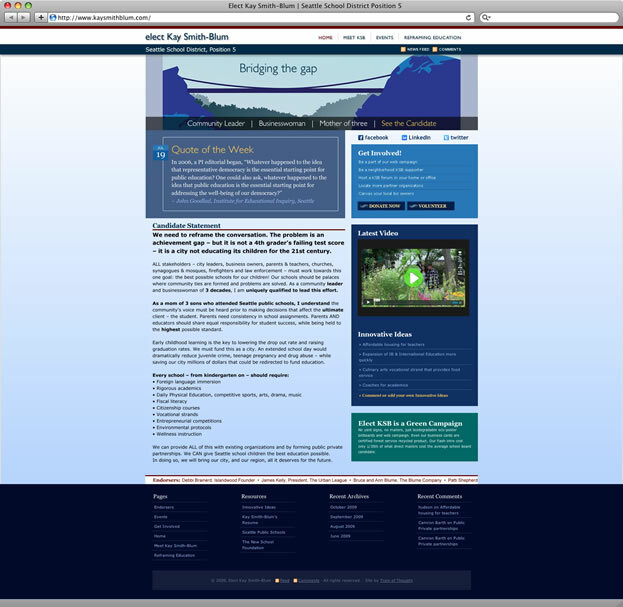 The site featured interactive elements which encouraged conversation with the candidate and getting involved in her campaign. We also produced banner advertising in helping Kay win her seat.